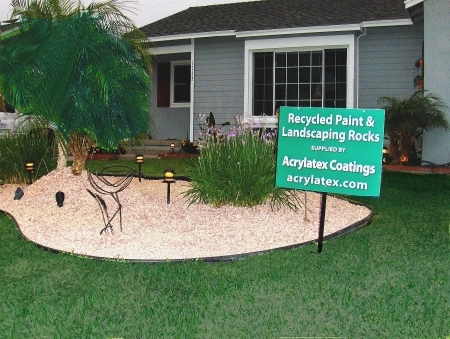 ﻿ Azuza Soft Rock FAQs Arcylatex Coatings & Recycling, Inc.
Q1. What can you do with Azuza Soft Rocks? Q2. What is Azuza Soft Rocks made of? Q3. How are Azuza Soft Rocks made? Q4. How long will Azuza Soft Rocks last? Q5. How long will the colors on the soft rocks last? Q6. What colors does Azuza Soft Rock come in? Q7. Will the soft rocks float away? Q8. What kind of base is recommended in preperation of applying Azuza Soft Rocks? Q9. How do animals like the Azuza Soft Rocks? Q10. Are Azuza Soft Rocks flammable, does it burn? Q11. Do the soft rocks get hot in the Summer? Q12. What affect is there to apply soft rocks to sloping landscapes? Q13. Will Azuza Soft Rock get blown away? Q14. What type of coverage can be expected from a bag of Azuza Soft Rock? Q15. What type of packaging does the Azuza Soft Rock come in? Q16. How can I get quote for my project, or special a custom soft rock color? Q1. What can you do with Azuza Soft Rock? Azuza Soft Rock is a perfect alturnative ground cover to where ever natural colored rock, wood mulch, wood shavings, pea gravel, sand, grass, are used in landscape beds and pathways. Q2. What is Azuza Soft Rock made of? Azuza Soft Rock is made from Latex Paint Aggregate (LPA) which typically has been considered a waste by-product of latex paint. LPA's are the hard, dried pucks found at the bottom of the paint cans that now are turned into a renewable resource by Acrylatex Coatings & Recycling, Inc.. The solidified latex paint (LPA) is shredded and then ran through a series of sifiting screens and then colorings with special coatings applied before a drying process and packaging. Solid latex paint is fairly inert and therefore the product will not breakdown or disintegrate under normal use. Un-natural physical events such as kick-out is one means that might warrant replenishment, which is why a containment border is highly recommended. The coatings on each piece of Azuza Soft Rocks are UV protected and has been tested for colorfastness and colors have proven to hold up well even in the most harshes conditions. Q6. What colors does Azuza Soft Rocks come in? Soft Rocks are available in eight standard colors, with each color theme using several variegated colors within any color theme. In addition, we can manufacturer Azuza Soft Rocks in any color, which is one of the reasons why soft rocks is so popular with commercial interior designers for casinos, hotels, commercial buildings and shopping malls. Q7. Will Soft Rocks float away? Azuza Soft Rocks do not float, which means there are a two advantage. First. it won't float away in normal condition where excess watering or light rain floods the containment bed and second, if soft rocks should happen to get into a swimming pool, they will sink to the bottom making it easy to retrieve with a pole/net and not get into the pools skimmer/filtration system. Azuza Soft Rocks should be placed on a well draining base material. If your soil is already well draining, then no need to add any additional prep. If soil clay, you may want to consider mixing in sand or lime to loosen up the ground for increased drainage. We do suggest that you dig down deep enough to place the soft rocks below ground level to minimize kick-out. We also recommend to cover your base with a plastic weed barrier with slits to allow for drainage. Q9. How do animals like Azuza Soft Rocks? When used in landscaping like planter boxes and flowerbeds pets, espcecially cats, tend to avoid these covered areas for their depository duties. The latex material Azuza Soft Rocks are comprised of does not absorb an animals scent making it not very appealing to dig in. Also it is non-toxic to pets. Q10. Are Azuza Soft Rocks flammible, does it burn? Solid latex will only burn when it is broken down into very small particulates. But large pieces like those used for Azuza Soft Rocks are considered to be non-flammable because they are difficult to ignite. Because Azuza Soft Rocks are a loose fill material, air gets circulated around the pieces so the temperature of the soft rocks will not be any more hotter than other similar materials How can I get quote for my project, or special a custom soft rock color? As with any loose fill material, gravity does play a role in how well any product remains on a slopped surface. Depend on the degree of the slope and other conditions like wind, rain, etc., containment of the soft rocks may require slightly more maintenance to keep a nice looking landscaped area. Azuza Soft Rock does not tend to blow way under normal wind conditions. In fact, if installed in the proper depth, a blower can be used on the soft rocks to remove dry leaves and debris. Trial and error on how deep to set the base may be required in order to minimize blow-off when using a gas blower, so as not to dislodge the product. One 55-lb bag (1 cu ft) of Azuza Soft Rock can cover 12-15 square feet (4'x3' area) at a depth of 1"-1-1/2" in depth. Azuza Soft Rock is packaged in clear poly bags (55-lbs / 1 cu ft) and in 55-gal drums (400-lbs / 7cu ft coverage). Q16. 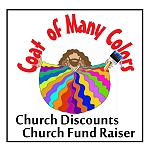 How can I get quote for my project, or pricing on a custom soft rock color? Contact our sales team via email or by phone. Please provide the square footage you need to cover, your preferred depth coverage and city/state if shipping is required.